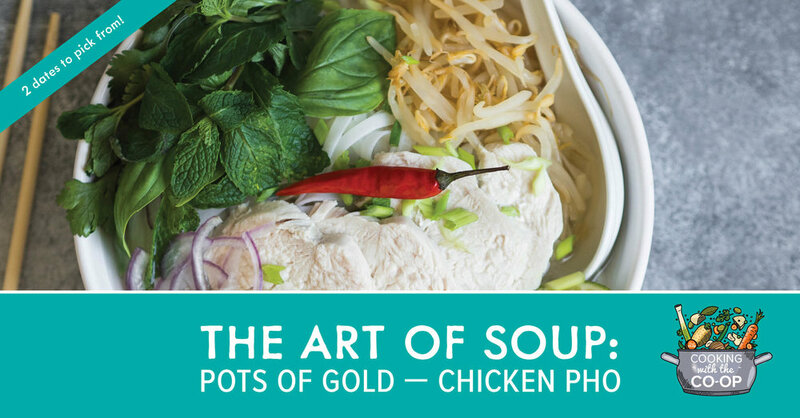 Let’s get cooking Pho Ga, the famous Vietnamese chicken noodle soup, and learn the secrets of French and Asian Fusion stocks. Few foods give more all-around pleasure than good homemade soup, and they feature in every cuisine around the world from gumbo to chowders. Learn to start right with stocks built with fresh, local and seasonal ingredients. After cooking up our stews, we will sit down and enjoy them together! Sidonie Maroon is a local culinary educator and writer. She brings people together to create feasts from international menus, using local in season foods. Sidonie also facilitates the “Local Food” 20/20 group in Port Townsend and finds herself frequently in her garden when not in the kitchen. You can find out more about what she is up to in the community by visiting abluedotkichen.com.